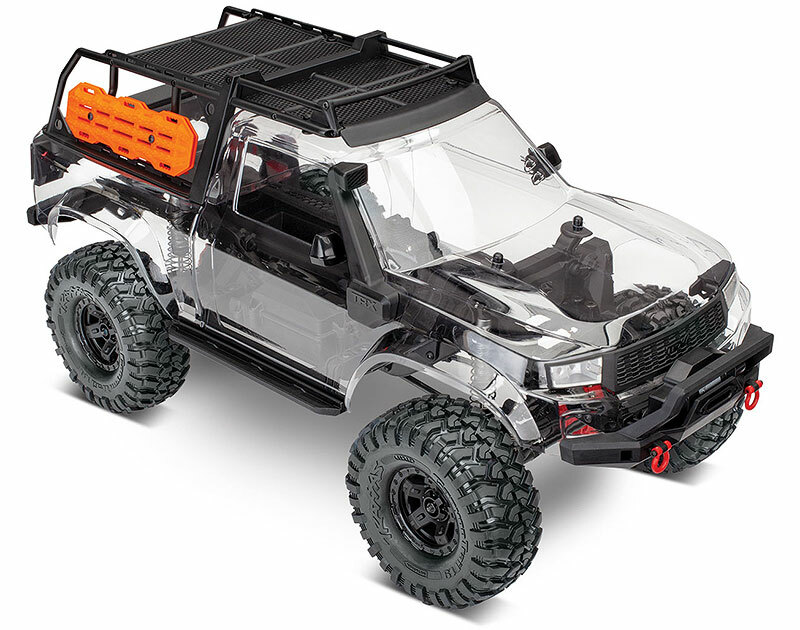 The Traxxas TRX-4 Sport is purpose built for trail-conquering RC fun with innovative technical features and rugged durability. 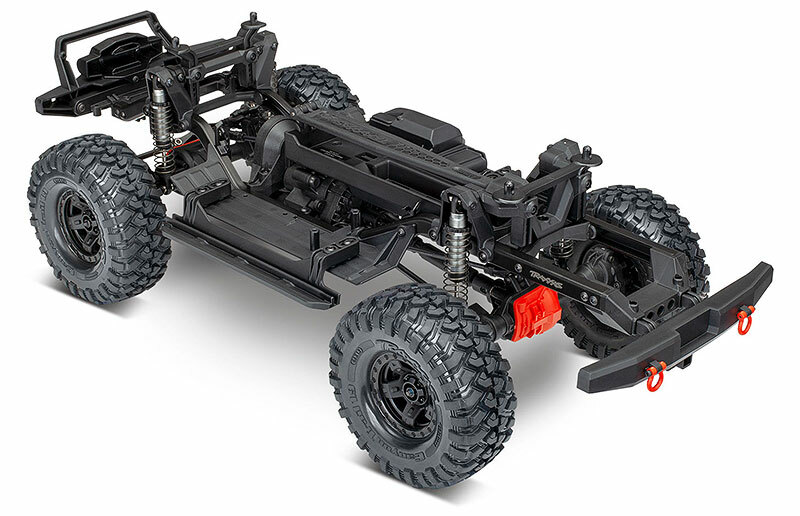 The new TRX-4 Sport Unassembled Kit combines all the technical capability of the RTR truck, with the excitement of building your own kit. 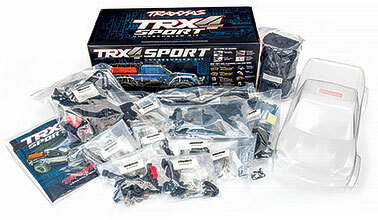 The TRX-4 Sport Kit assembles to form a roller chassis without electronics, battery, or charger. 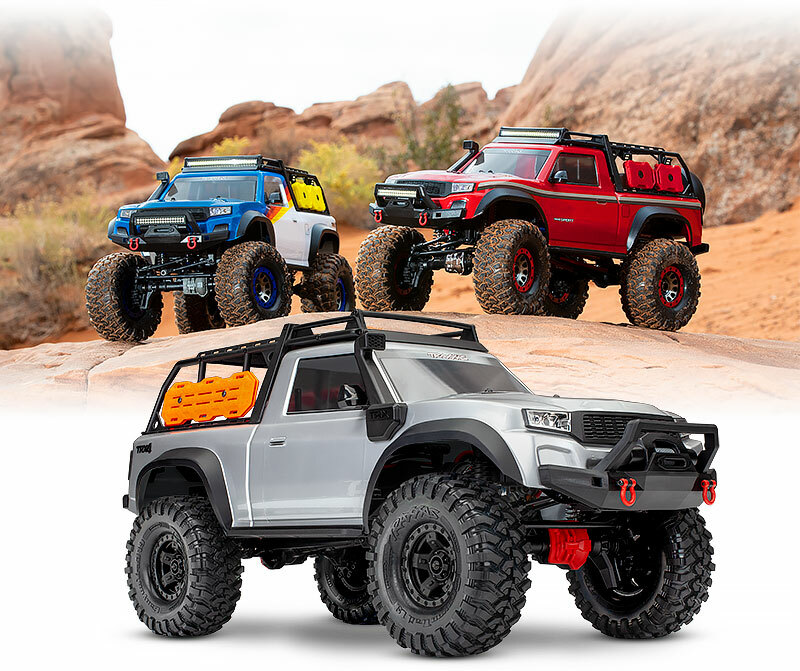 From mild to wild, enjoy ultimate build-it-yourself freedom to add your own motor, electronic speed control (ESC), servo, and radio system to the highly competent chassis. 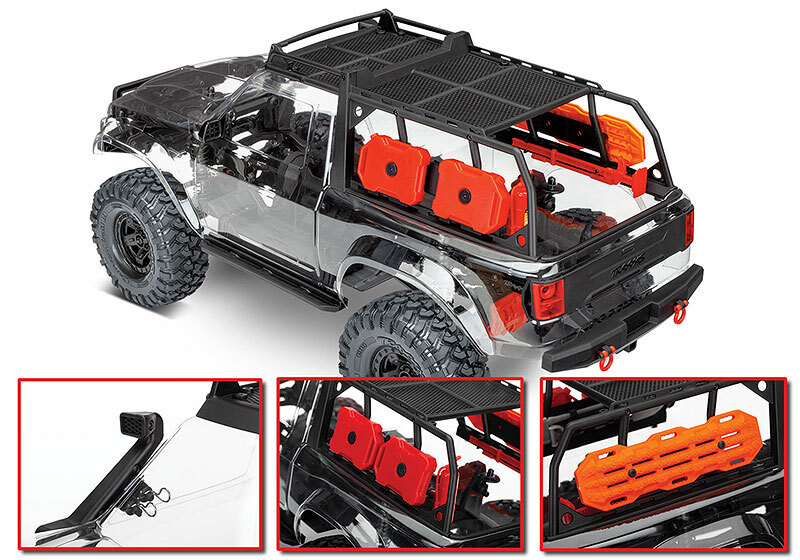 All the parts are organized neatly in labeled bags with pre-assembled shocks and suspension links. 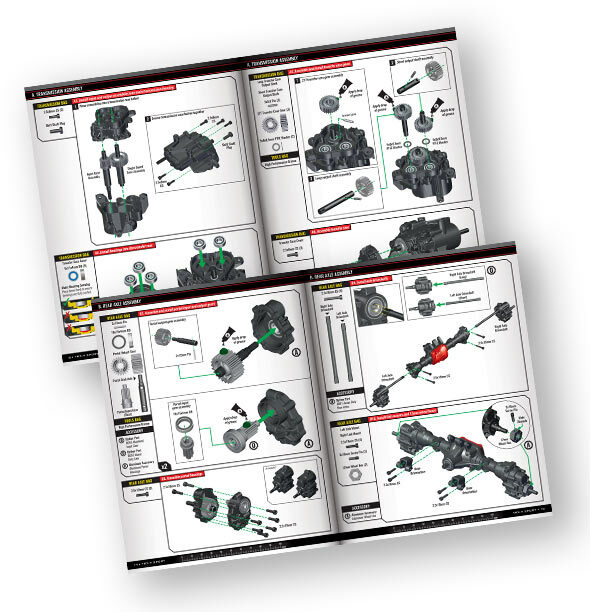 A fully illustrated color manual makes the kit as much fun to construct as it is to take off-road.